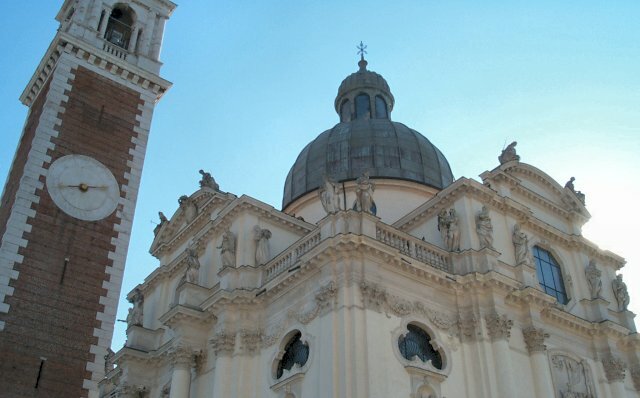 The church atop Monte Berico stands majestic and overlooks Vicenza. The church is a nice walk up thru winding cobblestone roads directly behind the bed and breakfast with eagle eye views of Vicenza and surroundings. On a clear day you can see Romeo's and Juliet's castles.